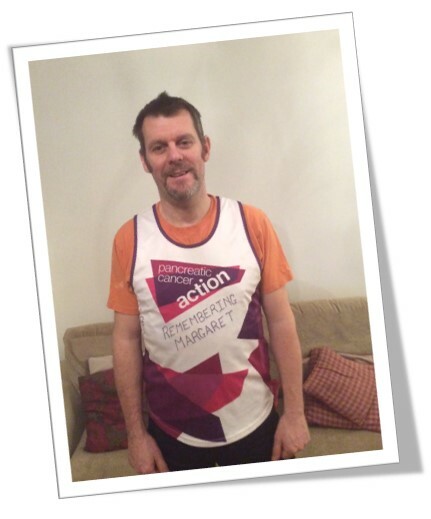 Steve Morton, from Woking is taking on the Brighton Marathon in memory of his mother-in-law, Margaret Adams. Steve has already run the Surrey Half Marathon for the last two years, however, he wanted to go the extra 13 miles this year to complete a full marathon. 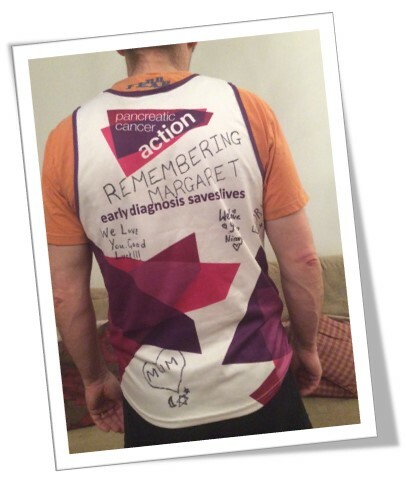 Steve says “when Margaret passed, as a family we all completed Pancreatic Cancer Action’s annual Stride for Survival at Virginia Water and raised a good amount and that spurred me on to continue the fund raising. I decided to enter the Surrey Half in 2016 and then again in 2017. As I turned 50 in February I thought I would take on a bigger challenge and saw the Brighton marathon on the PCA website. 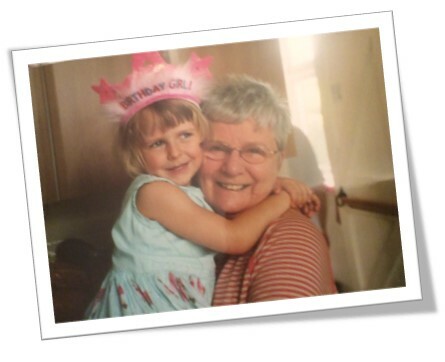 As a family we feel it’s very important to do something positive in Margaret’s memory because that’s the kind of person she was. She was always busy and always learning something new. She became ill very suddenly with the first sign that something was amiss being extreme fatigue and night sweats within weeks she then developed jaundice”. You can sponsor Steve by clicking here.